Scientists are continually fine-tuning the tools and techniques they use to collect and analyze data to measure human impacts on the environment. Bacteria respond to their changing environment in predictable ways, and a team of researchers from the University of Tennessee, Knoxville and Oak Ridge National Laboratory (UT-ORNL) used that knowledge to develop a method to use DNA from natural bacterial communities as a biosensor to test for the presence of a range of pollutants. Bacterial communities continuously sense and respond to environmental conditions that restrict or promote the predictable growth of certain species. The scientists at Oak Ridge National Laboratory recently used DNA sequencing and gene tracking to tap into that information and measure nuclear waste contamination in the Bear Creek watershed in Oak Ridge, Tennessee. Researchers chose the site because it was used for the early development of nuclear weapons. Because of the industrial processes that occurred there, it has “spectacular" geochemical gradients. Those gradients provided the ideal opportunity to evaluate the predictive power of bacterial communities in response to change in an otherwise homogeneous area. The tests were successful and the biosensors accurately identified environmental contaminants and distinguished between uncontaminated and contaminated sites in an otherwise homogeneous area. To explore whether they could apply the same approach to other ecosystems under different impacts, the group also analyzed data collected before and after the 2010 Deepwater Horizon oil spill in the Gulf of Mexico. The tests were able to discriminate between contaminated and uncontaminated sites with near-perfect accuracy. In addition to indicating sites that are currently contaminated or uncontaminated, researchers were also able to identify previously contaminated sites, even though the oil had been fully degraded. The authors of the study suggest that the bacteria “encode a memory of prior contamination." The scientists suggest being able to observe contamination even after degradation might make this approach useful for detecting episodic or transient events that are typically difficult to capture directly. Scientists at the Oak Ridge National Laboratory and other facilities have been developing biosensors for decades. The researchers at Oak Ridge believe bacterial communities can act as a valuable addition to the arsenal of environmental indicator tools and suggest that their evaluation method could be used for “everything from well water testing to seaside construction purposes." They cite an example of someone considering seaside construction who wants to know if there has ever been an oil spill. The bacteria testing method could be used to evaluate the environmental health of the area, even if there are no obvious physical signs of any previous oil spill. Biosensors come in a variety of shapes and sizes and are already being used in a wide range of situations. Scientists developed the earliest biosensors in part to identify harmful bacteria, but the newest ones harness natural or genetically engineered bacteria. There are endless potential medical, military, industrial and environmental applications. Bacterial biosensors can be used to detect the presence of explosives or biological or chemical warfare agents; to signal the presence of cancer-causing agents or toxins in water; or to detect and provide clues to human aging and disease. Bacterial biosensors are proving to be fast, sensitive, specific, and reliable detection methods. 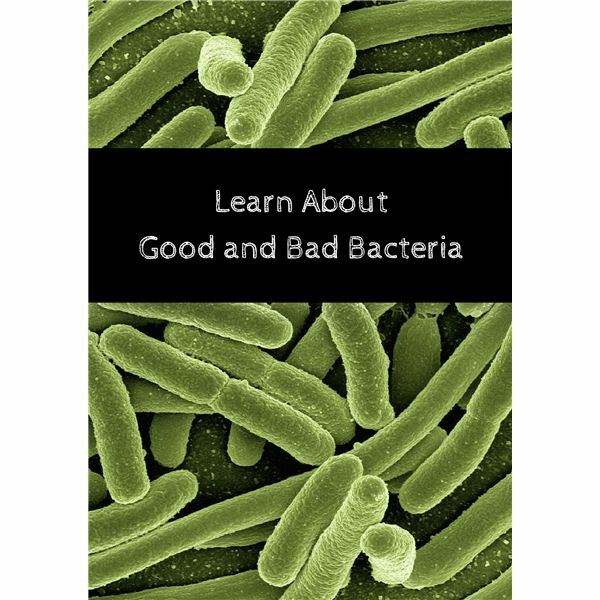 Our ever-increasing concern regarding the microbiological safety of our food, water, industrial waste, and pharmaceuticals, ensures that as the technology improves, our perception of bacteria as “friend not foe," will expand as well. The full findings of the Oak Ridge study are available in the American Society for Microbiology’s online journal, mBio.